Mirror frames manufactured of all designs of wooden and polystyrene mouldings, made with your dimensions. 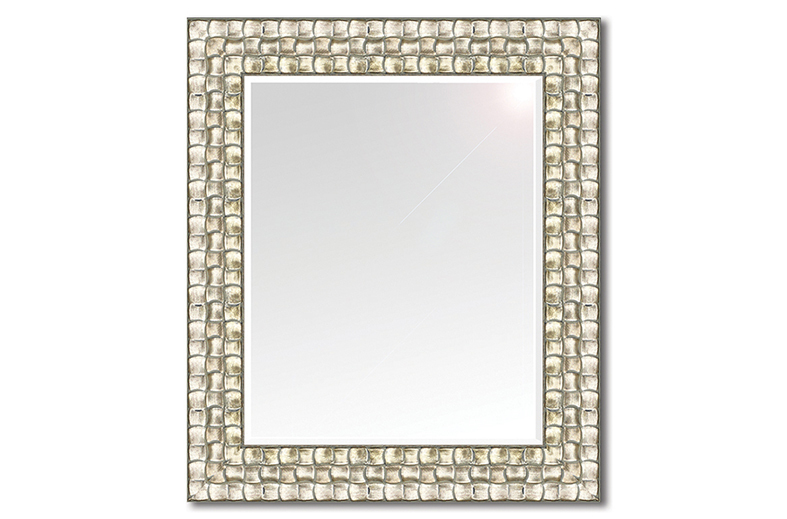 Mirror with wooden frame E 8080, mouldings width 80 mm. In addition to the sample sizes that are shown, we can manufacture wooden and polystyrene frames for mirrors of all designs in our collection, of your choice and size. The calculated prices we have shown are based on the size of the mirror. For different frames, the width is different and the overall size changes. The mirrors we put are Flotal E with a thickness of 3 mm, high resistance and do not contain copper and lead. Made of high quality raw glass and special paint is used to protect the silver reflecting layer for a crystal reflection. You can set the overall size of the frame or the mirror in your order, as well as order only a frame to for your mirror. Do not hesitate to make an Inquiry for a specific model and dimensions, and we will calculate your price. © 2017 Avtograf Ltd. All rights reserved!